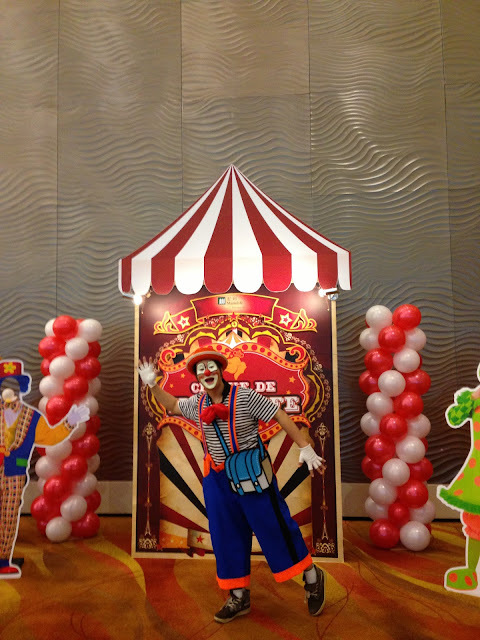 SweetHeart has been a busy clown - you can now find her on her own facebook page and website! 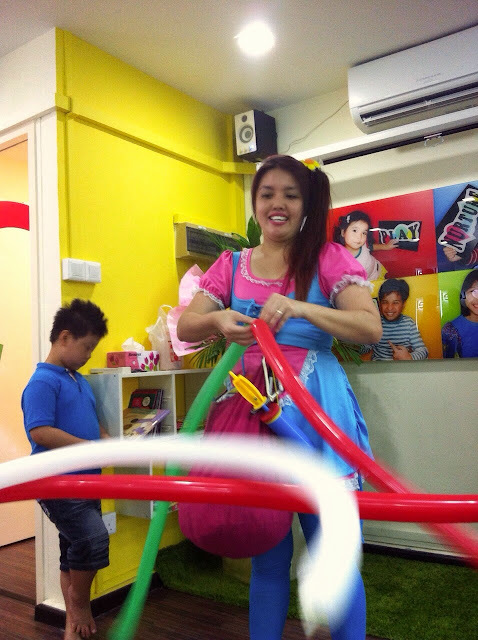 Above, we have a short exerpt of a show from a birthday party as well, so if you would like to book her for your own party, click here! What an awesome experience! 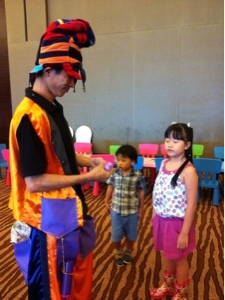 Denise learnt really fast and Sweetheart really enjoyed helping Denise create her clown person! 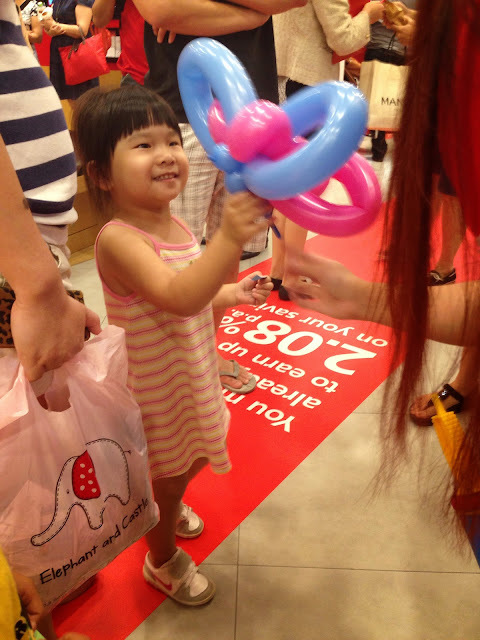 DBS has an interesting savings plan and I was hired for a carnival style event where the kids could get coupons from Dbs relationship managers for a balloon sculpture of choice! 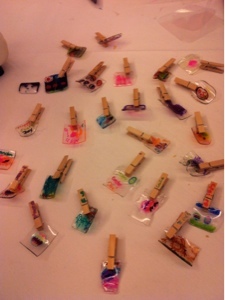 We made so many cute sculptures for the kids! 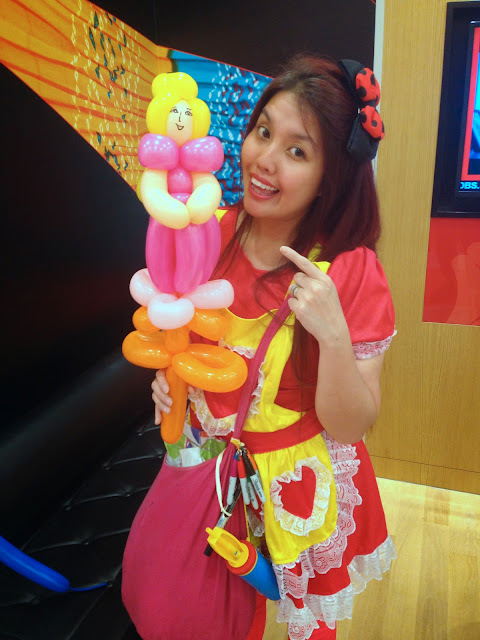 Princesses and red dolls a plenty! 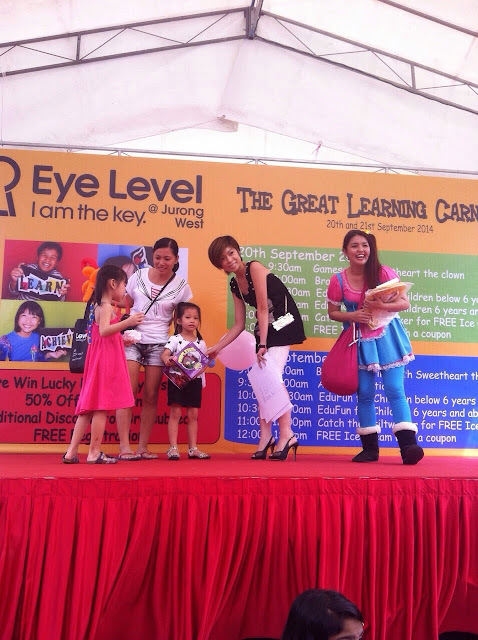 20th and 21st of September was awesome, with Eye Level Jurong West's Great Learning Carnival! 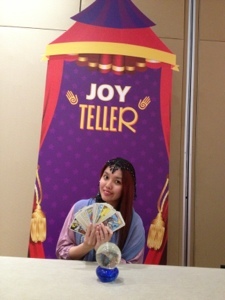 Zephyhdom managed the whole event and we designed everything from flyers to backdrop and we even created big game props for our Edugames and EduFun! 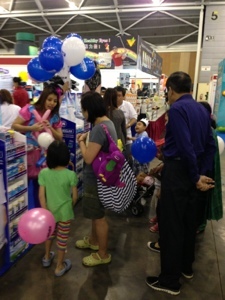 We managed to help Eye Level Jurong West set a new record for signups too! 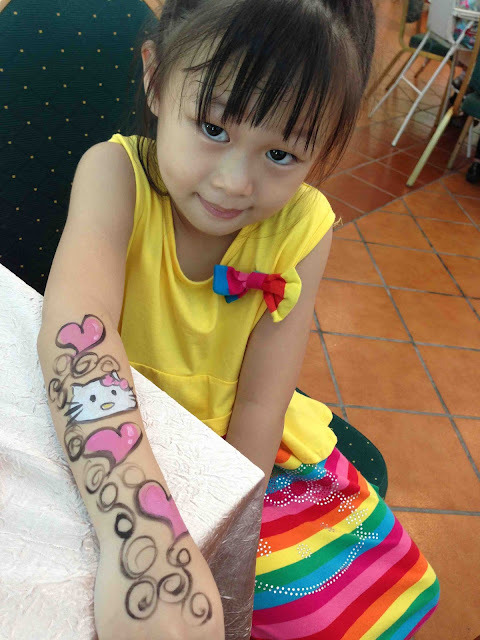 The art contest was well received and the winners were really happy with their prizes! 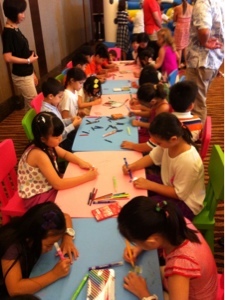 We had such fun with the lovely children there! Even Uncle Jimbo was at the carnival! 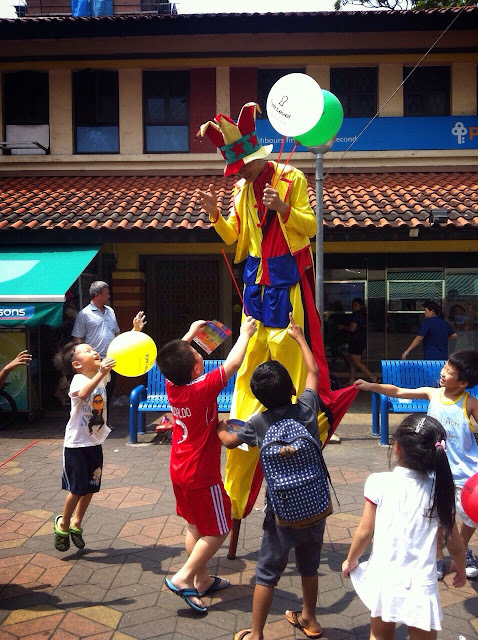 The children had so much fun catching the stiltwalker for free balloons and ice cream too! 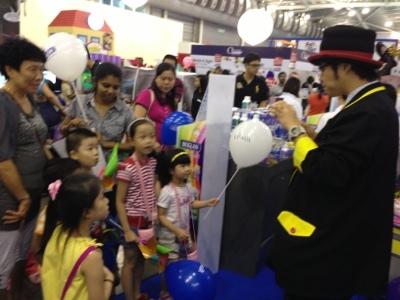 Twisting balloons at a recent UOB Bank road show was really fun! 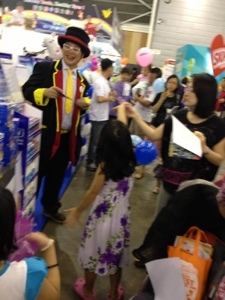 I had a great time attracting families to the booth and I believe the families had fun learning more about the available financial products as well. The event was amazing with fabulous decor! 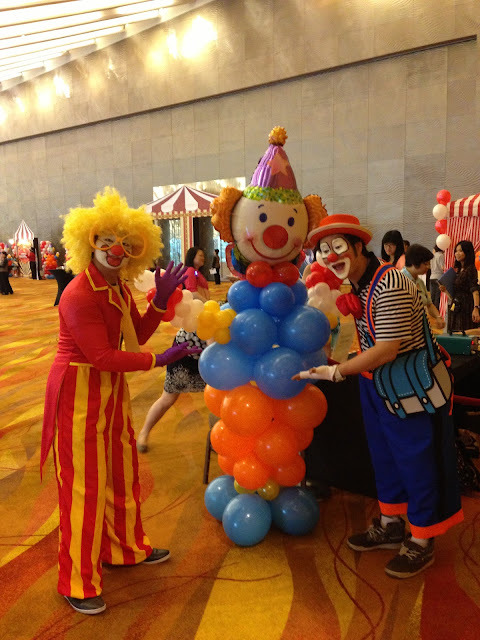 And of course, our clowns looked really good and helped jazz up the atmosphere there too. 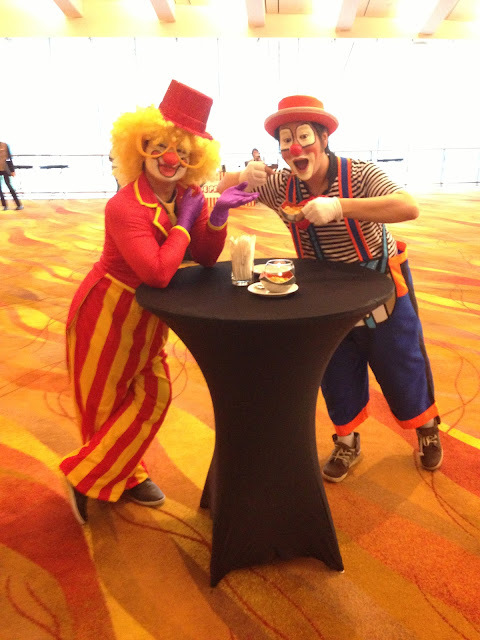 Uncle Jimbo and tricky nick had so much fun eating pretend food! 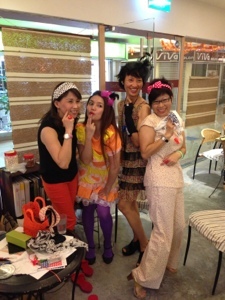 We had a really fun time at Holland Village, together with Tanjong Pagar GRC. 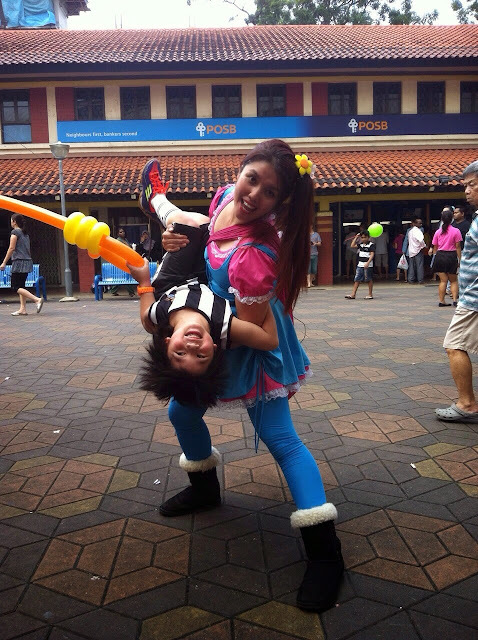 Our Jugglers and Stiltwalkers helped to add to the atmosphere of fun, and we also gave out flyers telling the public about the Chingay Floats coming their way! 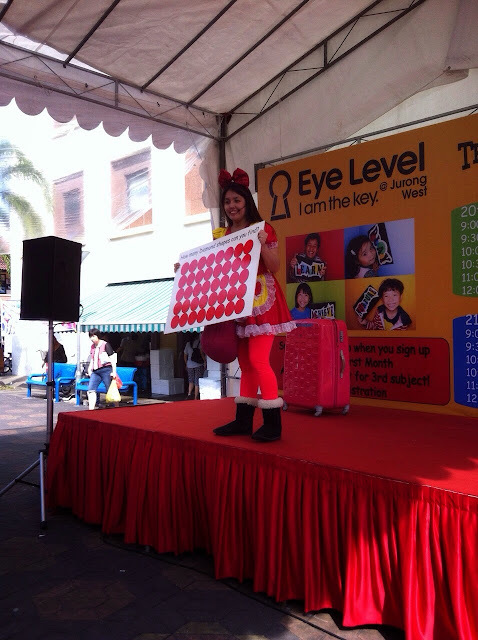 Mini performances were also done just outside the MRT Station! 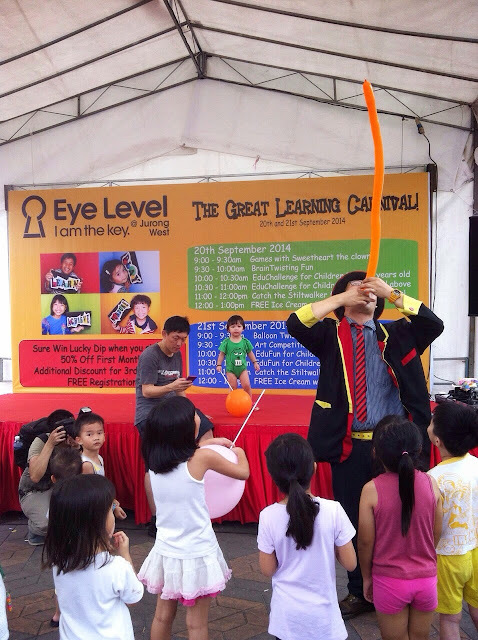 Loads of fun interacting with the residents! Our Snake Dancer with her Arabian Mask and a lovely albino Python! 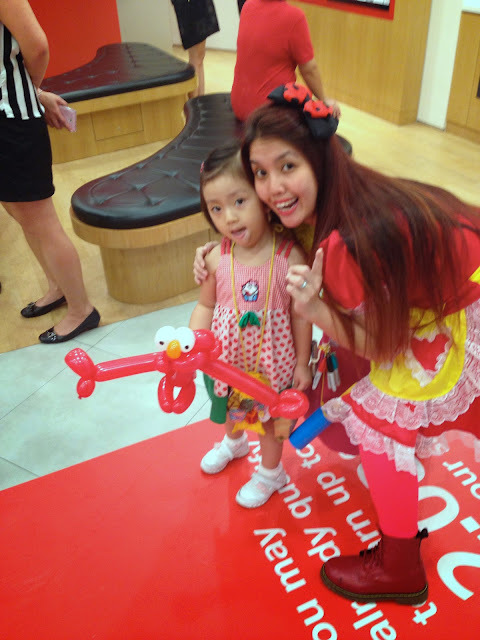 Our snake dancer mingles for photos and when fancy strikes with the right song, dances as well. 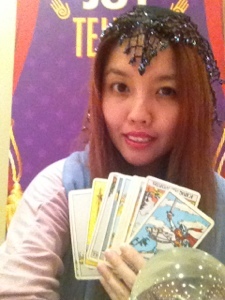 Check out Ruth, one of our Bilingual Emcees that we are promoting at Zephyhdom. 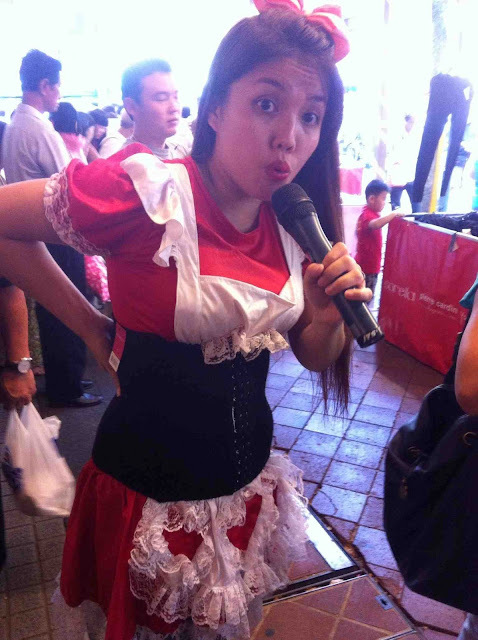 Fabulous for shopping center promotions and other sales based events, Book Ruth today! 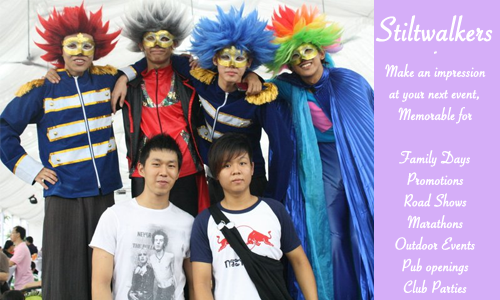 Drop us a email at zephyhdom@gmail.com to find out more! 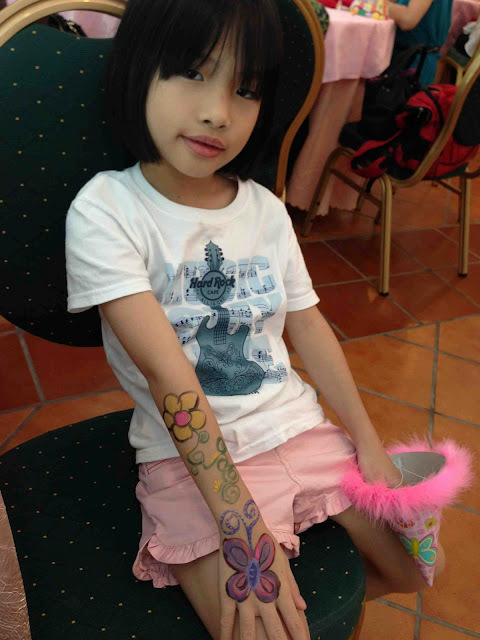 It was really fun doing body painting the other day at a birthday party, and these are some if the results! 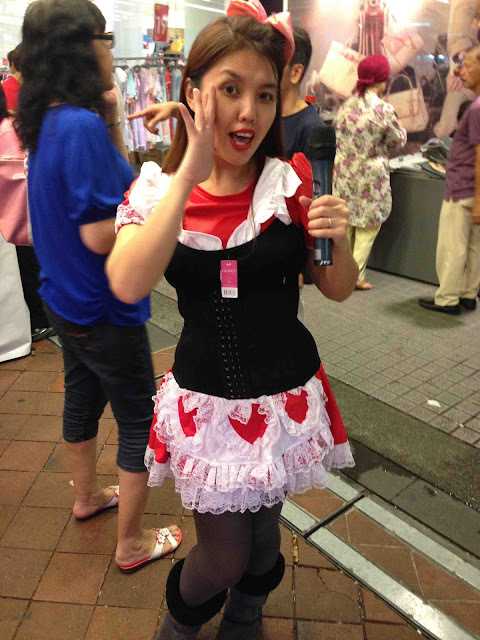 All the girls at the party seem to like heart shapes and hello kitty! 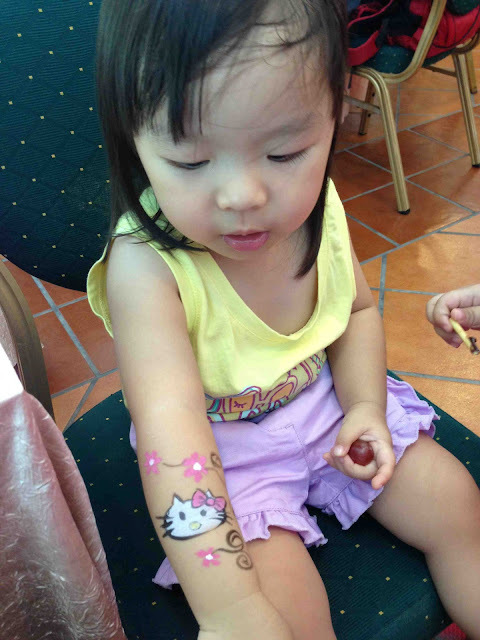 Hello kitty tattoos came in so many variations! 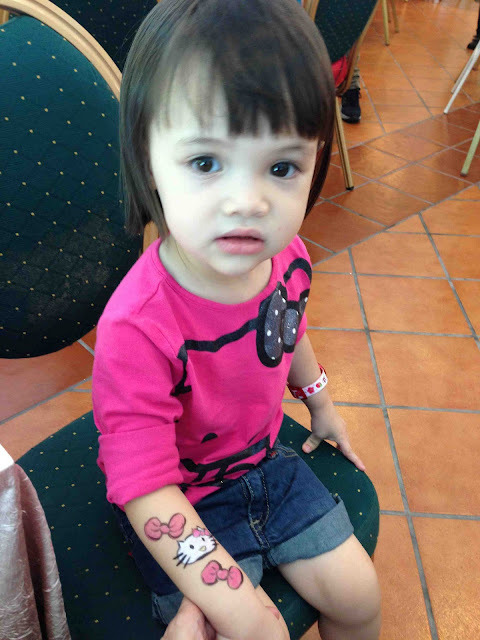 Our only flower and butterfly that day! And it's back to Kitty again! 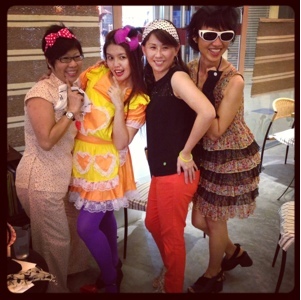 Easter parties are always fun! 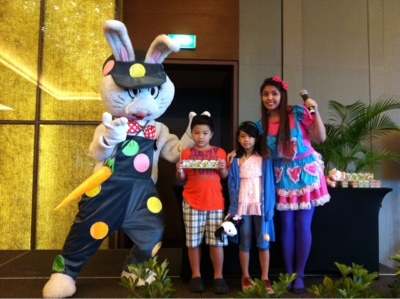 At Sicc's Easter party, we created a really fun thematic event with a bunny bouncer, a "shrink my egg" contest, "decorate your own Easter egg" contest and an exciting Easter egg hunt, stack your chocolate bunny game and more! 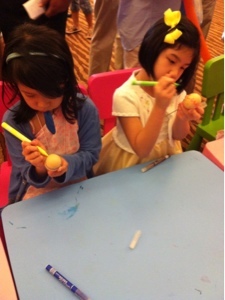 The children were thrilled with more than 200 chocolate eggs that were hidden for the hunt, and every family managed to find eggs, no one was left out! 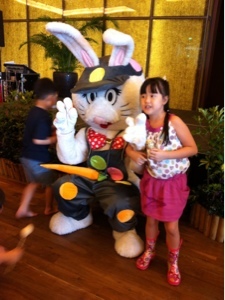 Finally at the end of the party, a Easter Bunny appeared to choose his favourite decorated egg and shrink art, and prizes were given out to all winners. He also said goodbye to all the little ones and poses for photos. 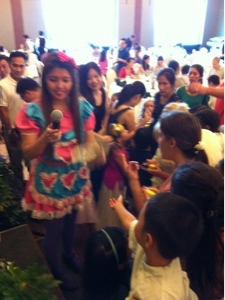 What a fun Easter party! 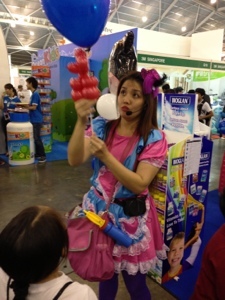 Sweetheart drew crowd at the booth by first attracting children with her amazing fast balloon sculptures then her gameshow at the booth! 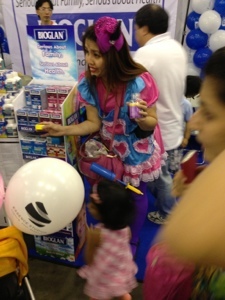 All the children got to try the yummy omega3 gummies as well, and some parents went off with a good deal on the children vitamins and supplements as she have out some coupons as well! 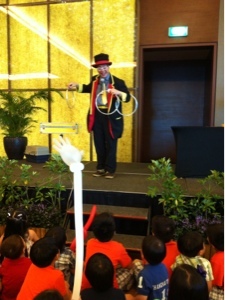 Uncle Jimbo had an unusual show which he delivered with ease! 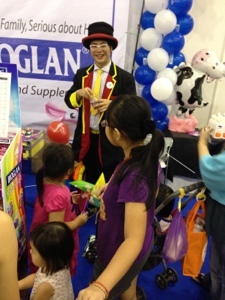 Magic at the booth to draw crowd... 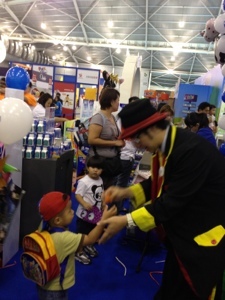 It wasn't easy, with so many booths competing for the same crowd, but he did well! 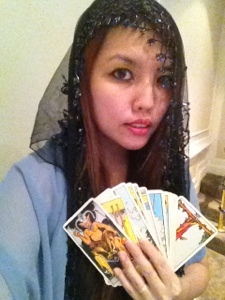 It is always fun to have a tarot reader at your event, and Vivien as tarot reader is both mystifying and accurate at the same time! 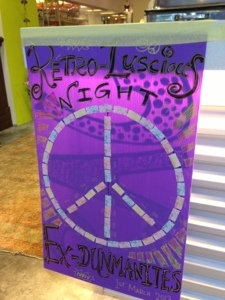 Retrolicious Party for the ex Dunmanites! This is an amazing group of ex classmates that kept in touch for more than 40 years! 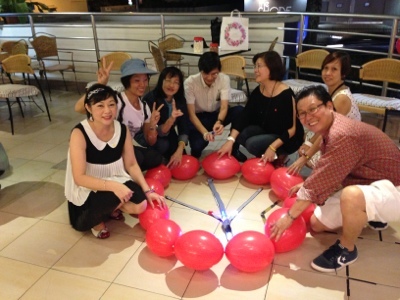 Their 1313 party theme and games were created by Vivien Goh who was their emcee as well, but Jennifer did all the prizes and the tikam board! 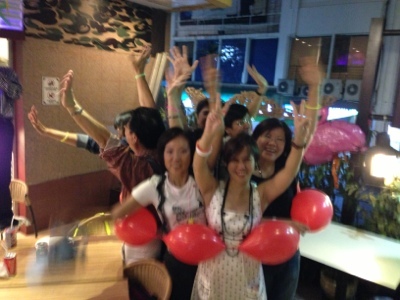 Fun fun party with loads of photos, but here are some of them first!